Ear Pinning or Otoplasty in Mexico is performed on patients to reduce the appearance of prominent ears which occur when there is over-separation between the head and ears or poor definition of the ear cartilage. Ear surgery in Mexico can be performed on patients of all ages, even young children, ultimately targeting to boost self-confidence once the correction is made. What Should I Expect from traveling to Mexico for Otoplasty surgery? When you decide to undergo ear surgery in Mexico, there are some medical examinations you must take to determine your health status. These examinations include lab work and preoperative cardiac evaluation. Your assigned plastic surgeon at Reveert will take pictures to evaluate the areas of concern and further advise on the procedures recommended, details about your otoplasty procedure, including incisions and their location, risks of ear surgery Mexico, pre-operative and post-operative care, as well as surgery recovery time. Following your initial consultation with a Reveert plastic surgeon in Mexico, we will schedule a surgery date at your convenience and you will be given the necessary instructions in order best prepare for your otoplasty surgery in Mexico. As with any surgery, there are risks which will be evaluated and discussed during your ear surgery in Mexico consultation with one of our elite Reveert plastic surgeons. Discussing these risks can be significant due to your past medical history. Some risks or complications of surgery in Mexico may include hematoma or opening of the wounds. How long does Ear Pinning in Mexico take? Ear surgery in Mexico usually lasts between 1 and 2 hours. What type of anesthesia is used during Ear Pinning in Mexico? The type of anesthesia used in ear surgery at Reveert, Mexico, is local anesthesia plus a light sedation typically known as "twilight" sedation. Ear surgery in Mexico is done on an outpatient basis and does not require overnight hospitalization. You will only stay in the hospital until full effects from the sedation have worn off, which is anywhere between 2 and 4 hours. In addition, your first ear surgery follow up appointment will be scheduled. How Long Does it Take to Recover from Ear Pinning in Mexico? Recovering from ear surgery in Mexico is gradual and will depend largely on the post-operative care. The first week of ear surgery is the most critical and you will have to put on a sport headband around the ears. Normal activities may be resumed after 72 hours. After recovering from surgery in Mexico, you may resume exercise in 4 weeks with the approval of your plastic surgeon at Reveert. You must avoid sun exposure for the first 3 weeks. Will the incisions from Ear Pinning in Mexico be visible? When performing ear surgery, plastic surgeons at Reveert use the least invasive treatment techniques. 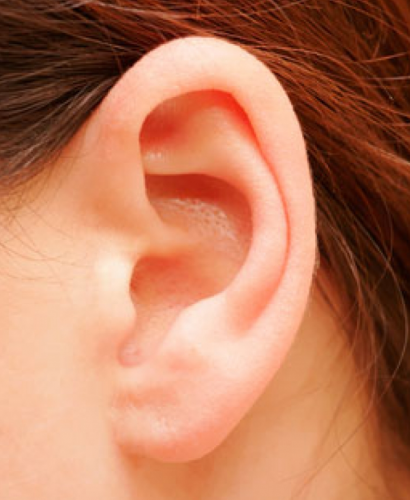 The incisions made during your ear surgery are meticulously performed along the natural crease behind the ear, leaving no visible marks or after-surgery scars. When Will I See the Final Results of Ear Pinning in Mexico? After your ear surgery in Mexico, inflammation will take several weeks to subside but you will begin to see your results of the third week and the final results of your ear surgery in Mexico will flourish within 6 months.